Emma Littlewood is a Manchester born full-time traveller. 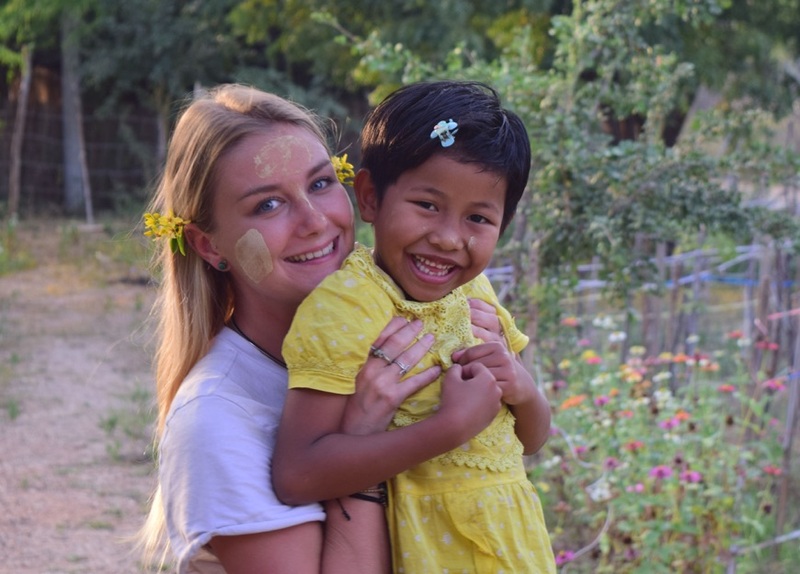 After spending 2015 inter-railing Europe and backpacking South America, she was well and truly bitten by the travel bug and has spent the past 9 months travelling India, Nepal, Myanmar, South East Asia and Australia with plans to continue into Japan, Mongolia and Bangladesh. Much of her working life has been spent using her Psychology degree to support the homeless and male prisoners in the UK. She now hopes to combine her passion for photography with her experience of supporting vulnerable individuals by photographing refugees and documenting global crises to raise awareness. I want to say a HUGE thank you to Emma for this guest post, sharing her experiences of this alluring country. You can follow Emma's adventures and beautiful photography on Instagram. I guess it’s safe to say that initial conversations with fellow travellers often follow a similar script; ‘how long are you out for?’, ‘where are you heading next?’, ‘where have you just come from?’. As I crossed the border into the tourist capital of Asia and answered the latter question with ‘I’ve just come from spending one month in Myanmar’, I received some very mixed reactions. People asked why I went there… ‘is it safe?’, ‘isn’t it difficult to travel there?’, ‘what is there to do?’. Each time I was asked, I couldn’t wait to tell people how utterly magical this country is and how it became one of my favourite places on earth. Imagine a country that only opened it’s borders to tourists, gained access to the internet and ATM’s just 5 years ago. It appears Myanmar may be the only south East Asian country left that has escaped mass westernisation and instead, maintained its natural, untouched beauty, its endearing charm and genuine heart that makes you want to stay forever. Admittedly, there is a ‘typical’ route to follow when travelling this country, but this is mainly due to the limited access to anywhere else, the political unrest in certain areas making them un-visitable, and that the places on this route are absolutely unmissable. I landed in Yangon; Myanmar’s largest city. My taxi ride took me through streets that reminded me of a calmer version of India; street vendors lined the side of the roads, colourful markets popped out of nowhere, my senses were hit by the smell of chicken and a clear lack of sanitation, but there wasn’t a craziness about the place. 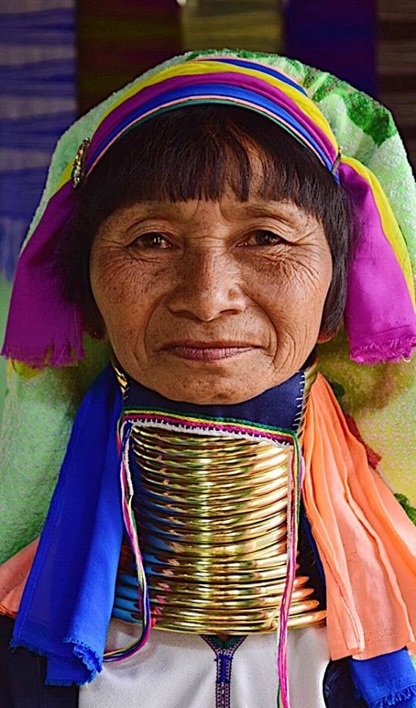 People walked slowly, the men wore long skirts called Longyi’s and everyone’s face was painted with thanaka (a yellow paste made from ground tree bark). I felt like a complete foreigner, but I felt safe, there was nothing intimidating about this place, you don’t need to haggle, you don’t get hassled, life just happens around you and you are free to observe and immerse yourself in this beautifully pure culture. I’m sure if you’ve visited South East Asia before, then you may be a bit ‘templed-out’, but a visit to Shwedagon Pagoda in Yangon is an absolute must. There is an entrance fee of around $8 which I would often be a little reluctant to pay, but I can categorically say it was worth it to see this place come alive at sunset. The street food is totally unlike any I’ve seen before, absolutely worth a try at the night market! Be sure to catch a ferry across to Dala while in Yangon and experience a different side of the city. I also heard the circle train around Yangon is worth a trip; super cheap and a really unique way to get a feel for Burmese life. In my opinion, there are three absolutely unmissable stops in Myanmar; Bagan, Inle Lake and Hsipaw. Admittedly, they are slowly feeling the effects of increasing tourism; great for the local economy, but as a traveller, I’d get there sooner rather than later! Bagan touched my heart in a way that no other place ever has. I witnessed the most beautiful sunrise’s and sunset’s I’ve ever seen, every single day for 6 days! (6 days is probably a little too much, 2-3 would be ample, I just fell in love with the place!) Bagan is an archeological site where over 2000 Buddhist temples still remain from the 11th century. Hot air balloons grace the sky each morning as the sun rises over the vast, green planes scattered with towering monuments. My advice for exploring this magical place is to hire an electric bike and have no plan, just get lost. It’d be a little tough to explore with pedal bikes in the Burmese heat, and the E-bikes are super cheap and environmentally friendly! If I saw the odd tourist bus heading to the left, I’d ride my bike to the right and get completely lost wandering through the beautiful temples that formed the best part of my trip in Myanmar. Tip: Hot air balloon rides are around $300 and fill up fast. Personally, the view from the ground is what it’s all about, and I didn’t feel like missed out one bit, but if you have the money then its a pretty unique way to ride in a hot air balloon! If there’s only one place you go for food in Bagan, please make sure it is Ya-Ti’s Organic Garden and Restaurant. Lunch-time is best as its not too far from the temples. This place is home to the most incredible family I’ve ever met, Ya-Ti is the 10 year old girl who lives there with her family and shows you around their garden while your food is being prepared by her parents who will happily talk to you about life, buddhism and anything they can manage in their limited English. 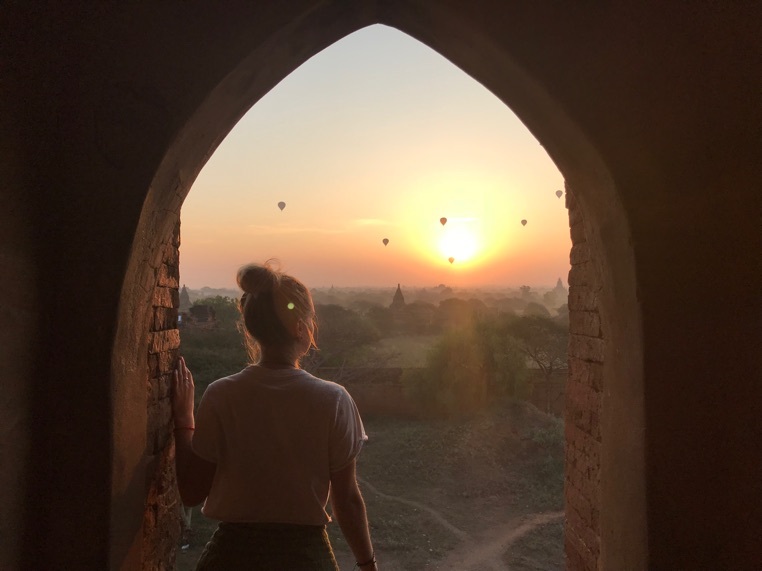 I went for lunch every single day I spent in Bagan, and I absolutely plan to return! Inle Lake perhaps only warrants 2-3 days unless you’re going to incorporate the Kalaw to Inle trek which can be another 2-3 days. I heard very good reviews of this trek, but if you only have time for one trek, then I would definitely save it for Hsipaw. The vast fresh water lake sits in the Shan state region of Myanmar and is home to the picturesque fisherman, floating villages and long neck ladies. Many tour agencies and hostels sell a variety of excursions, however, I found it best to speak to one of the local boat drivers on the street and arrange a tailor made trip to suit what you want to see. I would definitely recommend a sunset trip, and if stopping at silverware and silk shops are a little too touristy for you, then skip them out of your trip, that’s the beauty of arranging the trip with the locals directly, plus its cheaper! An absolute highlight was hiring a pedal bike and riding around the Inle Lake area. The mountainous landscape towered over fields of sunflowers and vineyards offering wine tasting; another perfect sunset trip. During my time here, I stayed at ‘Ostello-Bello hostel’, an up-and-coming chain of hostels in Myanmar (there are only 3 at the moment in Inle, Began and Mandalay). It’s definitely a comfortable option and a good way to meet fellow travellers. One of my final stops in Myanmar was Hsipaw, a town in the Shan state of eastern Myanmar. 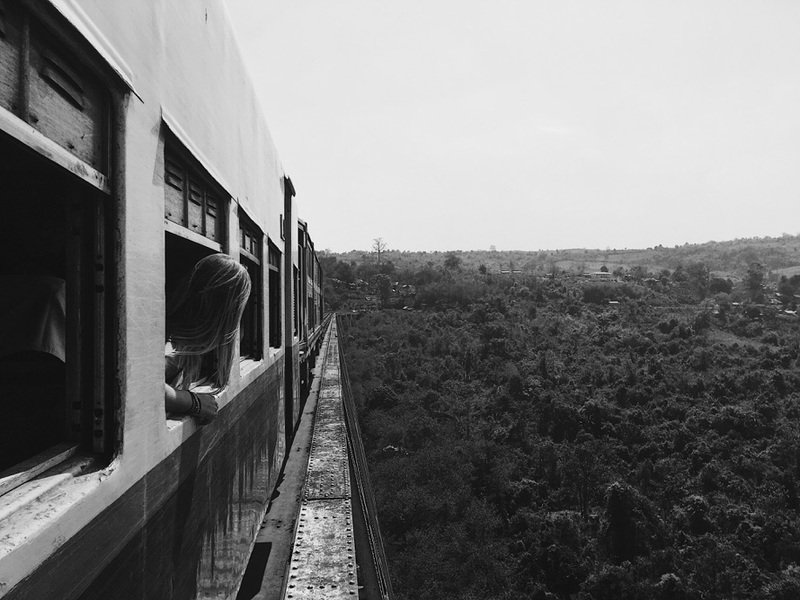 Taking Myanmar’s most famous train journey over Gokteik viaduct is an absolute must! This is the most breathtaking journey I have ever taken and I cannot recommend it enough. Take a share-taxi from Mandalay to Pyin-oo-lwyn and then the train from there, you won’t regret it! Hsipaw is home to Mr Bike’s trekking agency; possibly one of the best excursions I’ve ever done. Mr Bike offers a range of trekking packages, however I decided on the 2 night/3 day trek. Day one included some pretty strenuous climbing, but also stops at remote little villages and ending in the most incredible tree-house built just for this trip. You spend the night with your fellow trekkers, eating local food, admiring the wonderful sunset and having a few glasses of rice wine before retreating to your very own treehouse! On day two you start a steep trek back down into the jungle, following rivers and streams under a canopy of wildlife, before you end up at the riverside huts that you’ll spend your second night in (or if you’re feeling brave, embrace nature and sleep in one of the hammocks!). Your final day is spent tubing down the river with a beer in hand! Hsipaw may seem a little out of the way on the map, but honestly; the train journey alone it worth it! 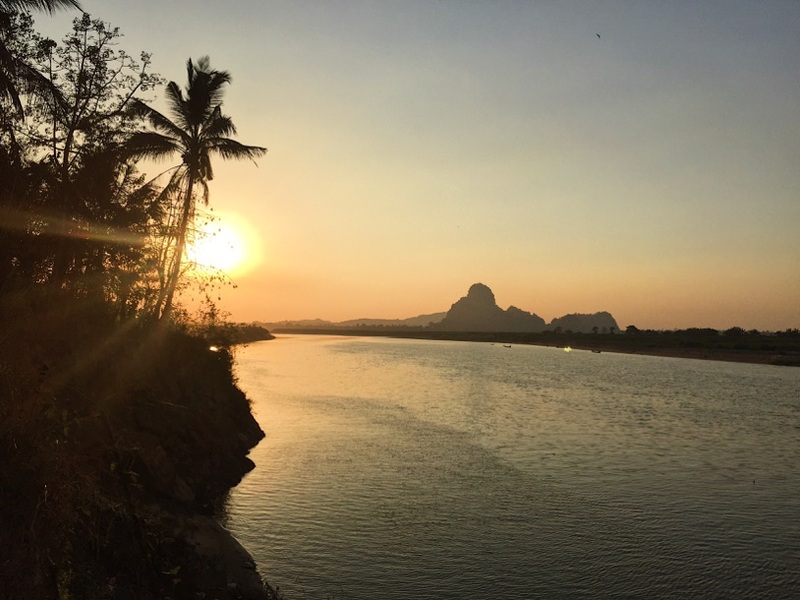 I left Myanmar after one incredible month, via Hpa-An, a remote village offering wonderful caves, temples and mountainous scenery. 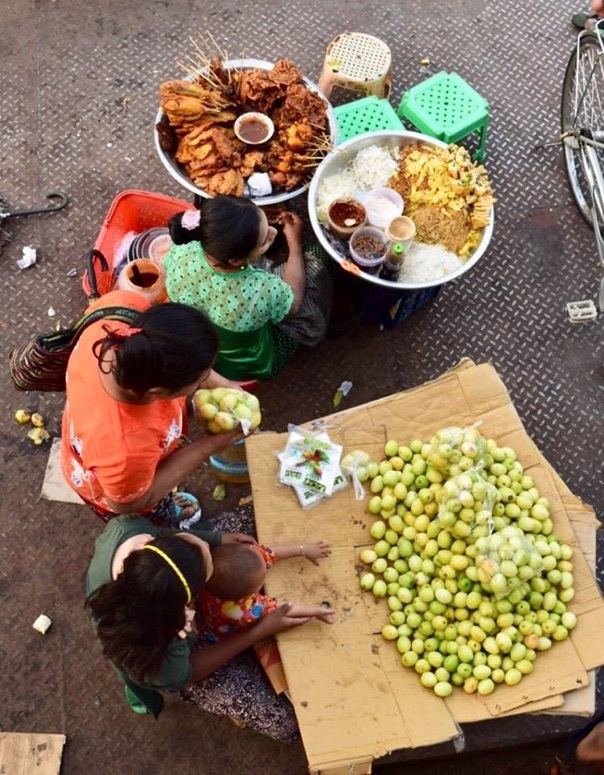 If you still have time, I would recommend a little trip here; you truly get a feel for the local Burmese lifestyle. So many people travelling the south-east Asia loop neglect to visit this fascinating country. For me, this is one of those places I’ll be telling my grandchildren about in years to come. If you want to experience the friendliest people, beautiful scenery, an incredible history and the train journey of a lifetime, then Myanmar is a must, and I promise; it’ll steal your heart. All images © Emma Littlewood, reproduced with kind permission.